Before I get started with planning and routes, meet the noble steed that will be ferrying me through the amber waves of grain: A 2016 Nissan LEAF. The SV and SL trims of that model year received the slightly larger 30 kWh battery, and the 6 kWh capacity gain over the 2015 and earlier models makes a made a significant difference in range and driving patterns. The 2016 LEAF has a 6.6 KW onboard AC charger with the standard J1772 port found on all North American plug-in vehicles. I also opted for the CHAdeMO DC Quick Charge (DCQC) port alongside the J1772. The US EPA estimates 107 miles of range under normal driving conditions, but this doesn't include pure 65-70 MPH highway use. Furthermore, the LEAF Spy software currently reads 90% battery state of health (SOH%), thus I can expect 60-90 miles of range depending on conditions. For PlugShare Trip Planner purposes, I entered 80 miles of range. With that in mind, let's dive into the planning. For my intended trip from Kansas City to West Michigan, I noticed that the north-then-east route through Iowa has fewer options for DCQCs that can shorten charge times. 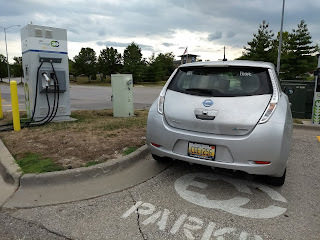 When reviewing potential charging stations for my trip, I also found that one of the pivotal charging locations in mid-Iowa suddenly received some negative PlugShare comments indicating that the station was not reliable. Therefore, the east-then-north route through Missouri is the better choice. Day 1 - Traverse Missouri near Interstate 70 in one day and stay overnight north of St. Louis. Day 2 - Trace Interstate 55 and Historic Route 66 northeast through Illinois into the Chicago area and stay overnight in southwestern Michigan. Day 3 - Finish the home stretch to Muskegon, Michigan along Lake Michigan. As I go along, I plan to update my actual route and stats via this blog. I will also use Life 360 for live tracking, and I'll publish a tracking code as the time for the trip approaches. 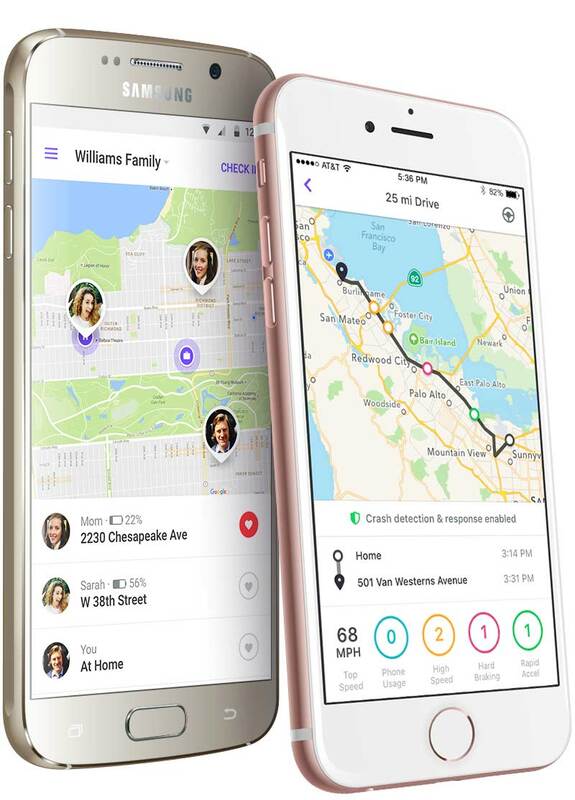 Life 360 users can be tracked via web or smartphone apps and the app allows for the past 2 days of route tracking on the free version. Tracking groups can also be turned off once a trip is complete. I also plan to publish the final track logged with the Geo Tracker app since the Life 360 trail will disappear after 2 days. For someone with limited free time and money to burn, this type of road trip to relocate a car likely makes no sense, and the option to pay for shipping the car would be the way to go. As a retiree with a passion for EVs, I view this as a learning opportunity and a challenge before the highways are littered with DCQCs. I hope the trip will be instructive to anyone deciding whether to undertake such a journey and how to plan it. Central Missouri desperately needs several DCQCs along I-70. These are likely coming with the Electrify America program through end of 2019, but I really could use them this coming September. Given the suboptimal situation of having to cross Missouri with Level 2 chargers until St. Louis, what is the route with the shortest time? Also, in those places where I will have to spend several hours charging, what is nearby and how will I spend my time? These are the issues I will explore for each step of the way. My journey will begin near Liberty, Missouri just north of Kansas City. Using a friend's house as home base and with the advantage of the KCP&L Clean Charge Network, I will easily be able to start with a battery at 100%. My initial route will take me along back roads through Richmond and Lexington, thereby bypassing the I-435 and I-70 superslab which would bring me speed, but also high energy usage. As mentioned in the previous episode, keeping my speed between 45-55 MPH on byways such as US 69 and Missouri 10 should yield an optimal balance of travel time and charge time. The first stretch from Liberty to a ChargePoint station at the Wal-Mart in Richmond should be just over 30 miles and give me the first impression of energy efficiency. Even a 30-minute pit stop and coffee break while on a Level 2 charger should yield 10 additional miles of range. 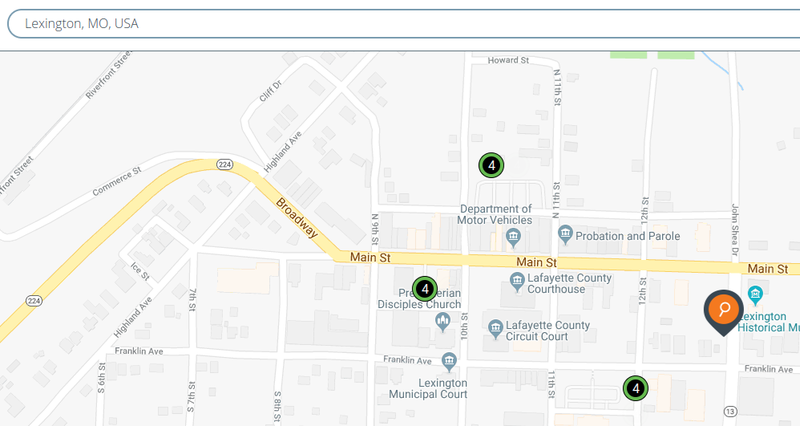 Only 11 miles down the road from Richmond is the town of Lexington which, according to PlugShare has a set of Level 2 chargers at the Tourism Bureau. A quick cross-check of ChargePoint shows that there are actually a total of 12 stations spread out over 3 downtown locations. It also means that I will need to have my ChargePoint card handy and some funds in the account since the stations are subject to the KCP&L CleanCharge network pricing of about 15c/kWh. 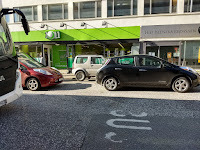 Finding the additional stations is an important note for EV travelers to not depend too heavily on one source such as PlugShare for information. ChargePoint, EVGo and other public charging providers are continuously updating their network, but sometimes PlugShare users haven't found or marked those locations yet. So be sure to check charge provider apps or web sites to make certain you're not missing out on possible charging opportunities. The apps or web sites of those providers also show the current charger status of those stations such as whether they are operational or in use. As EVs become more popular, checking on the status will become more important to assure it's not in use when you want or need to plug in. 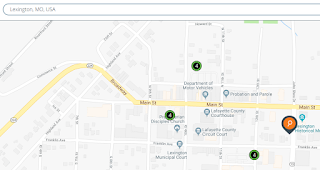 Plugging the Lexington charging locations into Google Maps shows that the ChargePoint station has a walkable downtown and a few things to see. If I'm going to have to wait to charge, I may as well enjoy my time. Lexington is not a required stop, but it might be fun to poke around for a few minutes. I'm not even sure this stop is worth the slight detour, but I planned it in just in case. From Lexington, I should theoretically be able to reach Columbia where my preferred destination is Joe Machens Nissan, where I leased the car. However, the overall distance is 95 miles with a 107-mile range, some of which will be battery-draining highway driving. There is also the option to take back roads and hypermile (go super slow to extend range), but without a charging backup plan, this is a bit risky. Therefore, I also planned in a stop at the I-70 hospital in Sweet Springs. The ChargePoint stations tend to be reliable and there is usually more than one. Again, I'll need my ChargePoint card and some credit on the account since the charge won't be free. One issue at this location is that the closest restaurant is on the other side of the highway with no sidewalk in between. It's amazing what you can find out with Google Maps and Street View. Perhaps the hospital will have a coffee shop. If not, my Fitbit will log a few more steps that day. The stretch from Sweet Springs to Joe Machens Nissan in Columbia is about 60 miles of possible highway driving. Based on a charging rate of about 20 miles of range per hour of charge, I anticipate needing to be at the I-70 hospital about 3 hours. This will be a good place to find some lunch and WiFi to pass the time. The most direct route from Sweet Springs to Columbia is the highway and there really isn't a good country road alternative that doesn't take me way out of the way. Looking closely at Google Maps, it does appear that there are access roads along I-70 that may be worth taking to keep my speed and power consumption down. I certainly don't want to be on I-70 traveling at 55 MPH and be rear-ended by a semi or a distracted driver. An important consideration for planning car dealers as charging locations is opening hours. Some dealers have their EVSEs behind gates that close after hours or even inside their maintenance shop. Be sure to read the notes, comments and even pictures in PlugShare. In this case, I have used this charge before and I will be there during business hours. However, take a look at the picture and note the location of the EVSE and the location of the charging Tesla. One thing that often happens at dealerships is that staff parks non-charging cars near the chargers thereby making them inaccessible. A quick call ahead can help make sure that spot is available when needed. Most dealers are good about moving cars and find EV charging a curiosity. 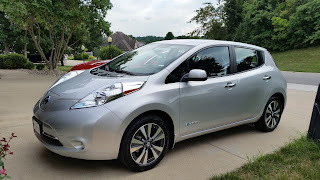 I had a whole sales staff crowd around my LEAF once when charging at a Nissan dealer in Lee's Summit, MO once as they had no clue about LEAFs. Yes, that's sad. A J-1772 extension cord like the J-Long mentioned previously can also help get the cord past poorly parked cars in this situation. It helps that I'll be charging a Nissan at a Nissan dealer. Some dealers of other brands may not be as friendly or accommodating. The stretch to St. Louis is another challenging range experiment. Again, theoretically, it's doable with 85 miles to a DCQC in Wentzville just outside St. Louis. Once again, it's the highway miles that are the range killer that will likely preclude this from being a straight shot. Therefore, I'm planning an intermediate charging stop. The next intended destination introduces a new wrinkle for this trip: a campground with 50A RV receptacles. The Jonesburg Garden Campground has a maximum PlugShare listing rating of 10 with lots of positive comments. Still, it will be a new experience for me. I will have my JuiceBox Pro 40 EVSE in the trunk which should plug into the NEMA 14-50 receptacle and give me power via the standard J1772 plug that fits my LEAF. My next stop in the outskirts of St. Louis is a DCQC only 26 miles from the campground. Since it's so close, I only need an hour or so. According to PlugShare, the campground charges $5 per hour for this service. While it's fairly expensive compared to the price of the power (1 hour at 6.6 KW = 6.6 kWh x $0.15/kWh is about $1 worth of power), I will gladly pay this to keep my trip moving. Who knows, I may just change into a swimsuit and take a dip in the pool. There are some advantages to being at a campground while having time to kill. Since many campgrounds also have cabins and tent sites, it may even be worth asking whether you can charge overnight and stay at a cabin. At $5/hour, it might get pricey if you stay plugged in overnight, but if you explain your situation to the management, you might be able to work out a deal. After all, they do have to make a living. East of the campground, we are now reaching the outskirts of greater St. Louis. St. Louis has a decent charging infrastructure including quite a few DCQCs on the EVGo network. The westernmost charger is in Wentzville, which is only 26 miles from the campground stop. Depending on my state of charge leaving the campground, I may just hop on the highway and get there quickly, energy efficiency be damned. If you have a low tolerance for technical details, you may want to skip this section. 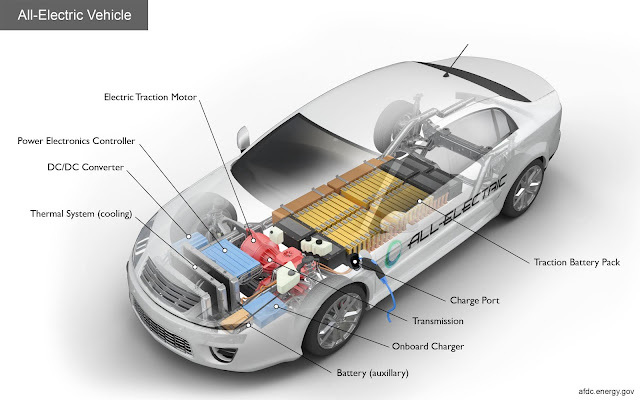 EVs have two methods of charging the battery: alternating current (AC) and direct current (DC). 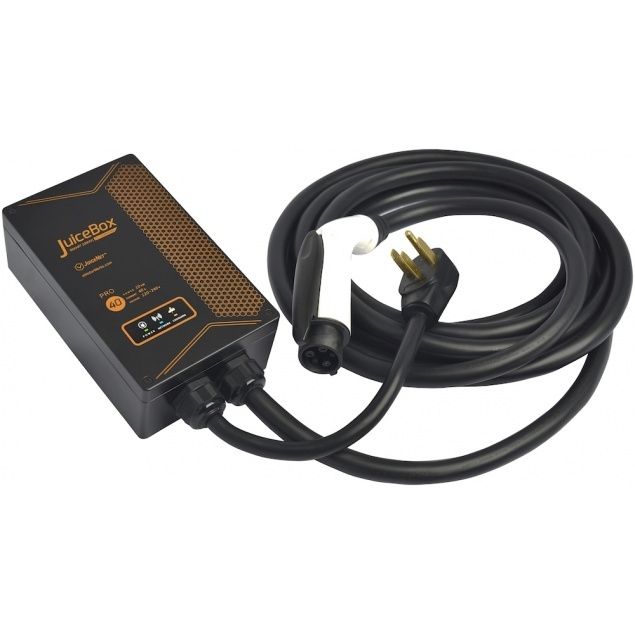 The battery itself only accepts DC, so the Level 2 AC EVSEs (commonly referred to as the charger, but it really isn't; I've used the term interchangeable at times) we have been discussing require an onboard charger that converts AC to DC. Similarly, when you charge your cell phone battery, most of us have a little cube that plugs into the 120V household AC that then outputs 5V DC via a USB port at a rate of about 2 amps. The current crop of EVs have an onboard charger with a capacity of about 6.6 KW thereby limiting the charge rate. Even if the EVSE is capable of a higher rate (my JuiceBox can put out about 9.6 KW), the LEAF can only convert at a rate of 6.6 KW due to its onboard charger. DCQCs bypass the onboard charger, thereby avoiding the onboard charger capacity limitation. In the case of the LEAF, it has a separate charge port with a the CHAdeMO standard. In the picture, this port is on the left. The standard J1772 AC port is on the right. The current state of technology of DC Quick Charging is about 50 KW with future rates of 350 KW promised. That means the 30 kWh LEAF battery can be charged in under an hour even from a completely empty state of charge. In fact, the stops will likely be less than 30 minutes. So if the DCQCs are so great, why don't EV drivers use them all the time? For starters, they're way more expensive to install than your average Level 2 station and the stations are the size of a large refrigerator. 50 KW is a LOT of power to cram into a car battery. 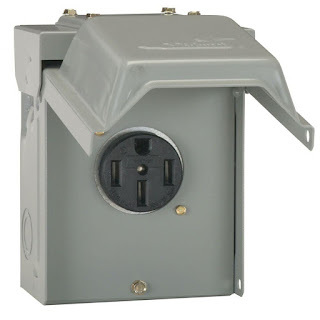 Consequently, not many hosts are willing to make the financial commitment to install these. To recover that cost, they tend to also be more expensive to the end user. As in all things in life, convenience comes at a price. The EVGo Pay-As-You-Go rate plan currently costs $0.20 per minute, so a 30 minute session will be about $6. The charging rate does drop off as the battery nears 100% charge so as not to damage the battery, so we won't get 25 kWh out of a 30-minute session. While EV charging is fairly efficient, the remaining inefficiency translates to heat. Charging at a high rate means that the battery has to dissipate a lot of heat in a short period of time. Heat is the killer of lithium ion batteries, so quick charging regularly, particularly an ambient-cooled battery like that of the Nissan LEAF, will lead to an early demise of the battery. The LEAF even has a battery temperature indication and if the temperature gets too high from frequent quick charging, the charging rate will be reduced to protect the battery. In a nutshell, DC Quick Charging really only makes sense for cross-country travel. Home or work charging is still best accomplished with Level 2 charging in the 7-10 KW range. 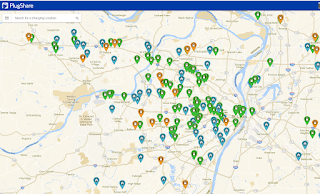 The orange pins on the PlugShare map indicate that St. Louis is awash in DCQCs. For my trip, this means I don't need to linger in the area long. The highway distance from Wentzville on the western outskirts of St. Louis to Edwardsville, IL in the east is only 57 miles. As such, I expect two fairly rapid DC Quick Charge sessions before head north along I-55 towards Litchfield, IL, which is under 40 miles from the Edwardsville charger. 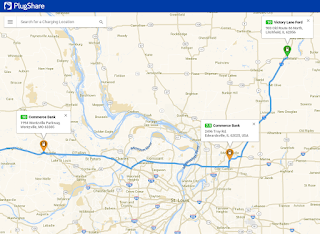 With these kind of charge rates, there's no point in conserving energy with slow driving and therefore I plan to zip through St. Louis along I-270 and I-55. 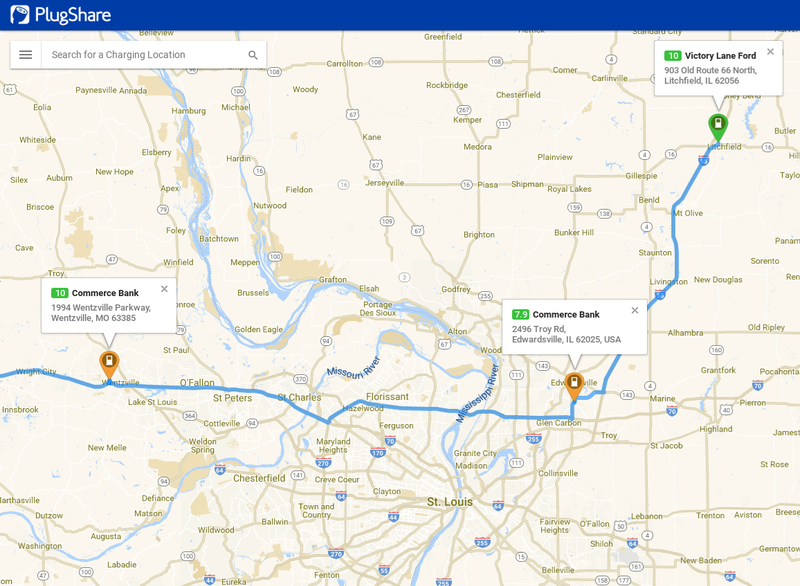 The stretch between St. Louis and Springfield has only Level 2 charging and the best bet according to PlugShare is the Victory Lane Ford in Litchfield, IL. Since this is a dealership location, I'm not certain I can gain access after business hours. According to the trip planner, it will be evening as I roll through St. Louis and certainly after hours in Litchfield. Therefore, I'm making the hotel near the Victory Lane Ford my planned stop for the night. The PlugShare Trip Planner allows the user to add wait times at each charger. I entered these according to the necessary charge to the next destination. For Level 2 charging, I assumed 20 miles of range per hour of charging, so 3 hours for the 60 mile stretches. For the DCQCs, I assume a total charge time of 1/2 hour since the trip planner wait time steps up in 1/2 hour increments. The total charge time is 10 hours which, we added to the estimated drive time of 5-1/2 hours makes the overall day 15-1/2 hours from departure. If I start the day bright and early at 6:00 AM that means my arrival in Litchfield will be 9:30 PM. In my 2015 Tesla Model S with 250 mile range and access to Tesla's Supercharger network, the 300 mile trip from Liberty, MO to Litchfield, IL can be driven at highway speeds and would require only a 1/2-hour Supercharger stop in Columbia, MO with an overall trip time of just over 5 hours. 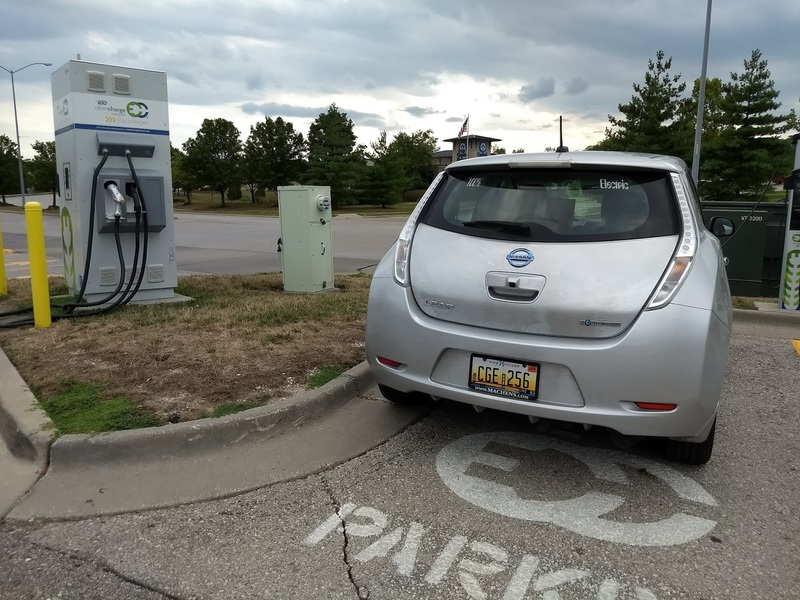 Compare that to the LEAF: The planned trip relies on 7 charging stations being operational and the ability to find back roads that keep efficiency up. Even so, we are looking at 15+ hours. Let's just say I'm not making a non-refundable hotel reservation in Litchfield just yet. In the next episode, I will cover planning of Day 2 of the trip from Illinois into southern Michigan.